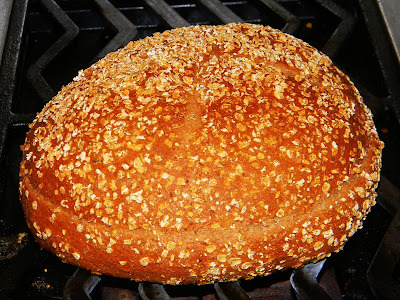 If you've been to this blog before you know that I like to bake bread...a lot. And like many bakers over the years I have come to rely on the mechanical means of an electric mixer to do the tough work...knead the dough. Most of my bread recipes, in fact, include a direction something like this "...combine the contents in an upright electric mixer fitted with a dough hook. Knead the dough on medium speed for about 8 minutes..." But this wasn't always the case; I've been baking bread for hobby and profession for something like 25 years...and during the early years I didn't own a mixer. In fact, for the few years that I was a restaurant's owner we (my sous chef and I) baked all of the restaurant's bread without the aid of a mixer. But over the years I've not only come to rely on them--at work and at home--but also enjoy them. But as some of you may also know, I have been sans mixer (at home) for the past month or so (as previously posted here and here). Anyhow, I had the day off today and felt like making bread (and a pizza for dinner out of the same batch of dough), so I kneaded it by hand...and I'm glad I did. When I knead dough by hand I remember things. I remember the basic ingredients that go into a dough because I can feel them in my hands. I remember the miracle we call bread--and the crazy chemistry that happens in bread dough--because I have time to think about it. But mostly I remember how difficult our fore-cooks (especially the homemakers) must have had it--not just with bread, but putting three square meals a day on the table using only there hands and a live fire. I'm glad for electric mixers (and, in fact have a new one on order); I'm glad how efficient they are and that they enable me to do other things while the dough is being kneaded. But I'm also glad when I knead the dough by hand...because it makes me remember what a miraculous thing it is. Separate the ingredients in two bowls using this ratio: In one bowl combine 4 cups of flour, 1 1/4 cups water, along with all of the yogurt and salt. Stir it just until combined; cover with plastic wrap and set aside. In a second bowl, combine the remaining 2 cups flour and 1 cup water with 1 cup oatmeal, the olive oil, honey, and 2 teaspoons of yeast. Stir it just until combined; cover with plastic wrap and set aside. Allow the bowls to rest for at least an hour, but up to 12. 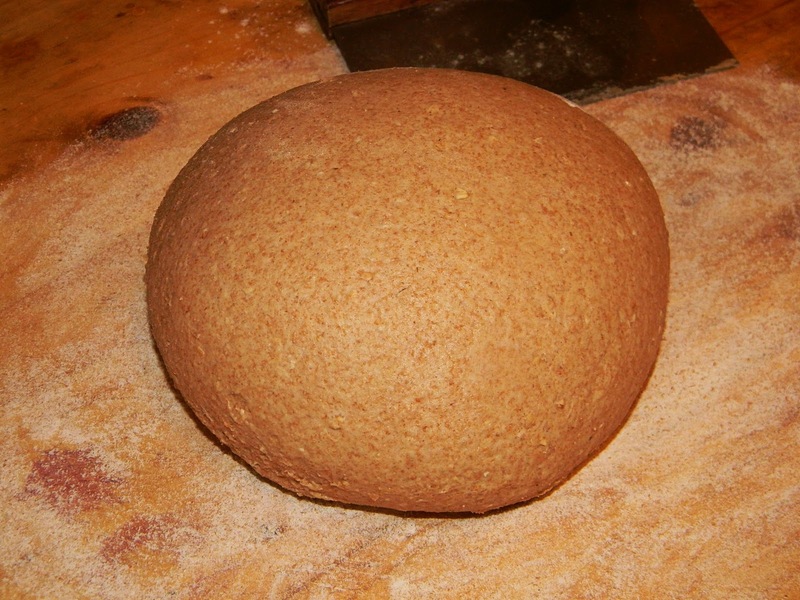 Add the remaining teaspoon yeast and the contents of both bowls to an upright electric mixer fitted with a dough hook. Knead the dough on medium speed for about 8 minutes, then cover with plastic wrap and allow to rise for one hour. 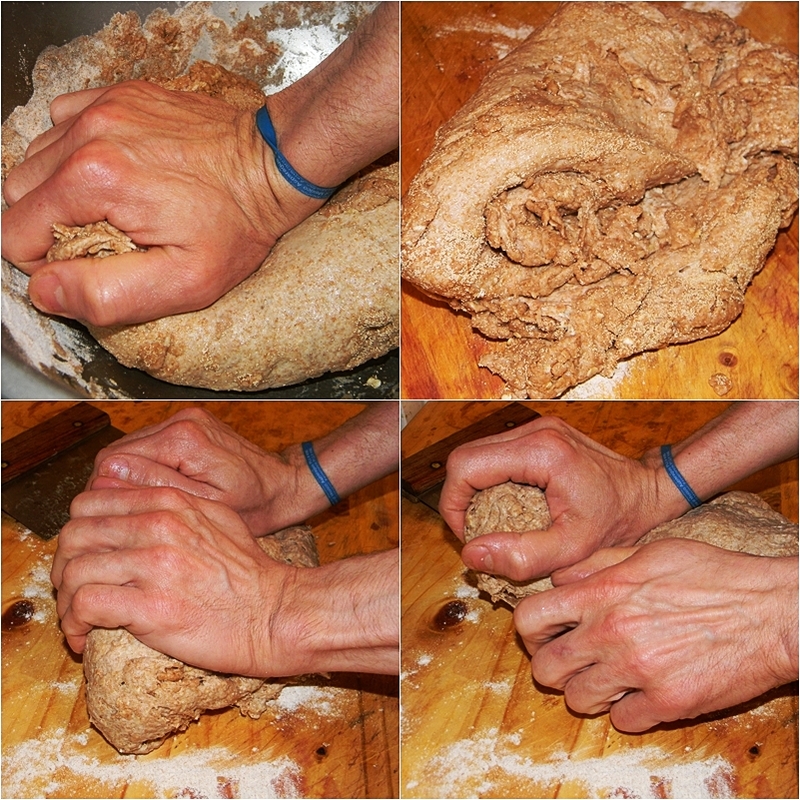 Transfer the dough to a work surface, cut it into two pieces, gently shape it into loaves. Dust the counter with extra oatmeal and roll the loaves in it, gently pressing oatmeal into the surface of the raw dough. Place the loaves into oiled loaf pans, cover with plastic wrap, and allow to rise for 45 minutes. Preheat an oven to 400F. Bake the bread for about 30 minutes, or until golden brown and sounds hollow when tapped on. Remove the bread from their pans and allow to cool for 10 minutes before slicing. For the most part the homemakers didn't have quite such a tough time making bread. The light and fluffy stuff that is universally available today was once the stuff only available to those of the upper classes who afford not merely a cook, but a cooking staff. The homemaker made denser "peasant" breads of meal, rather than flour. As a celiac I'm naturally attracted to these breads, as they don't need the gluten content to maintain structure. Ah, yes...I am well versed in not only culinary history but also the incredible history and origin of bread. At one time--during the early years of refined grain--white flour was only available to the wealthy as it's color was a sign of "purity." The unrefined, or whole grain, was sold to the poor, or commoners. The irony is that the commoners ate much better bread than the wealthy at the time...to bad Wonder bread is so damn cheap today. It's that damned industrial revolution. It ruined everything. Except bicycles. It was pretty cool for bicycles. Oh, and guitar tuners. Bicycles and guitar tuners; and hand tools. OK, amongst the things . . .
Can I just come in again?